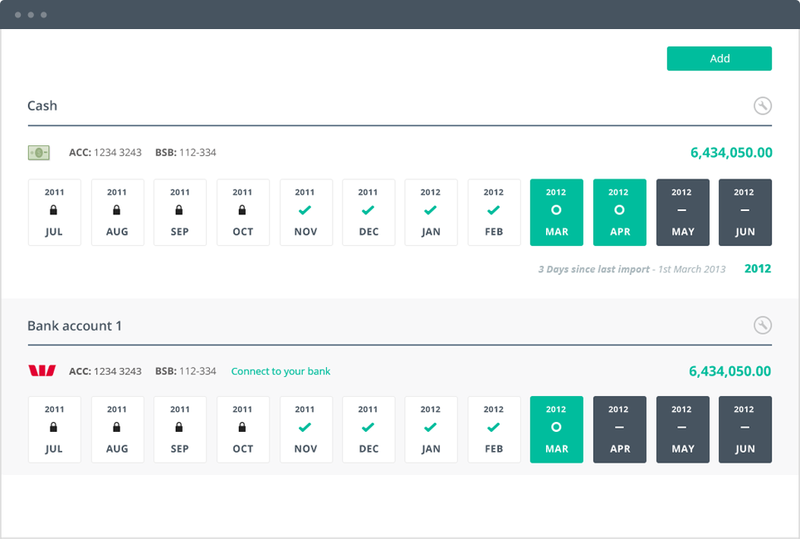 Manage your practice (and all the numbers behind it) in one solution. Reckon is an ASX listed leading Australian software provider that’s focused on supporting small business and providing business owners the right tools to make managing their business quick and easy. 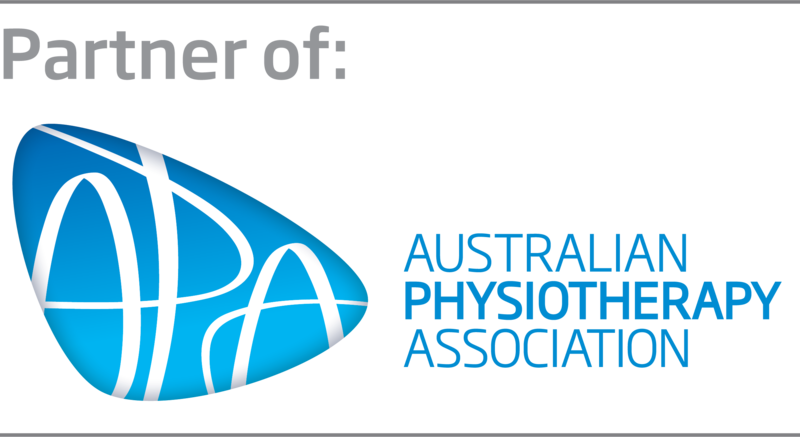 Reckon is proud to be an official partner of the Australian Physiotherapy Association to deliver our range of innovative accounting and practice management solutions to members. You didn’t become a physio to do the books! Reckon One simplifies the financial side of your business, so you have time to focus on your clients. 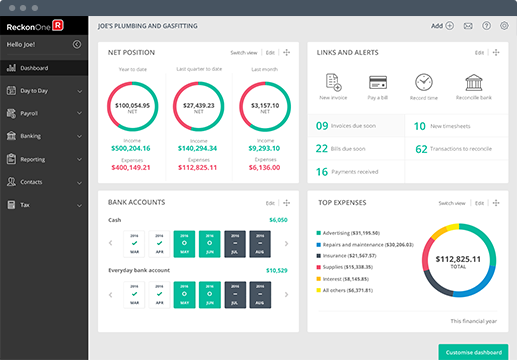 Easily manage your cash flow, track expenses & payments and much more! Best of all, you can access the software on any device including your smartphone, giving you the flexibility to manage your finances on the go. Starting from just $5/month with no set-up fees or contracts. 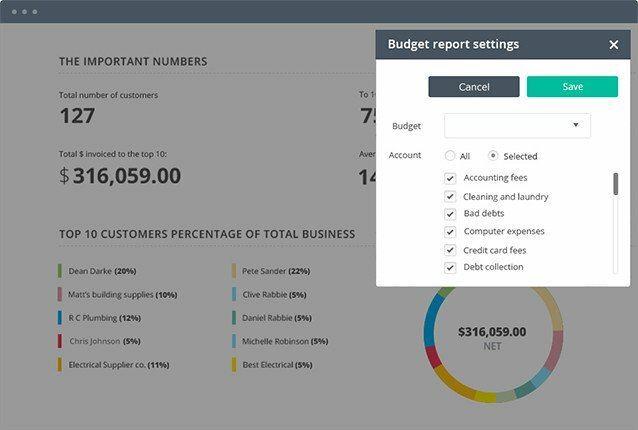 Generate 20+ reports in seconds or view the dashboard for a real-time snapshot of your sales. Create budgets and monitor cash flow to help you plan for changes in patient load or unexpected expenses. Connect Reckon One to your bank account and watch your latest transactions flow in automatically. Making easy to reconcile and keep track of money coming in and out of your business. From payroll to GST and BAS statements, Reckon One makes it easy to stay up to date with the latest compliance changes with pre-built report templates and automatic product updates. 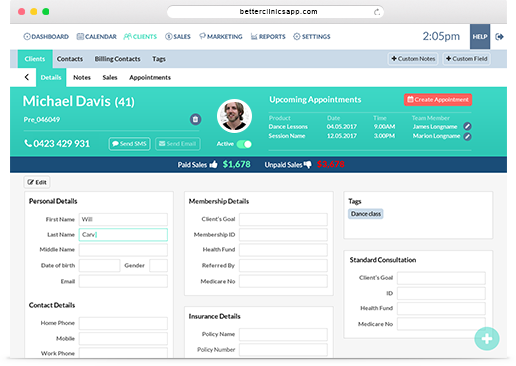 Better Clinics, a Reckon product is online practice management software for health and fitness professionals. You can manage appointments, scheduling, clients, invoicing and payments (including HICAPS) on a secure, central system. With everything you need at your fingertips you can streamline your practice and provide a better experience for your clients. Starting from just $19 per month, with no set-up fees or contracts. 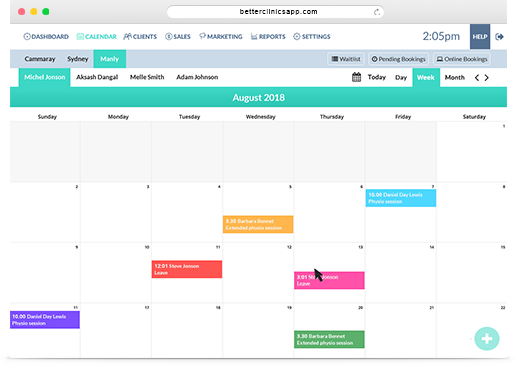 Powerful scheduling software that lets you book appointments and schedule your team on the go. With set and forget appointment reminders help you reduce no-shows. Generate 24/7 online appointments on your website and never miss a sale due to a missed phone call or email. Plus, you can focus on the clients that are with you at the time instead of answering the phone! A secure, CRM database with client contact details and custom fields that matter to your business. Add documents and appointment notes to a patient profile – so you’re prepared for every appointment. Running a physio clinic can be busy and demanding, but the right software can make it as quick and easy as possible. 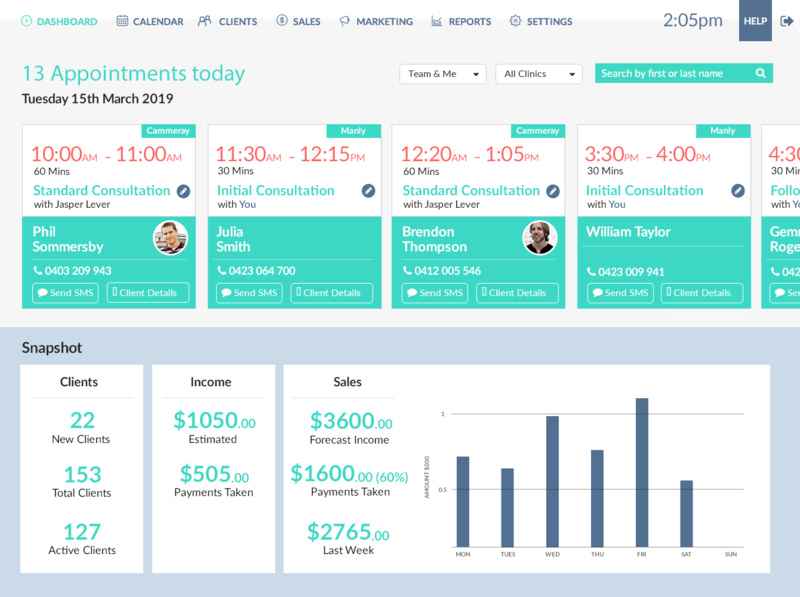 When you connect Reckon One and Better Clinics you can manage your practice (and all the numbers behind it) in one – it’s the complete solution for a growing physio business! Prefer to speak to someone? Just call 1800 952 970, we’d be happy to help.